The purpose of the VHBB is to sponsor the annual Vestavia Hills Dogwood Festival, sponsor the Vestavia Belles, participate in semi-annual yard judging and serve as the official hostesses of the city, serving at the pleasure of the Mayor. The Vestavia Belles are the official junior hostesses of the city. All information about the Vestavia Belles is located under Belles tab. Click HERE to download the 2018 Vestavia Belle Application. 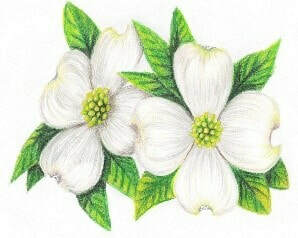 The annual Vestavia Hills Dogwood Festival a longstanding tradition in our city. To celebrate the arrival of spring, there is a Dogwood Luncheon and annual yard judging. To find out more information about the different parts of the festival, please click on each link above. The 2019 Vestavia Hills Dogwood Luncheon will be held Thursday, April 25th, 11:00 am at Vestavia Country Club. We are pleased to announce Ashley Lowe Nance, as our featured speaker. Ashley is a wife, mother, writer, educator, and former Belle. This year’s event will feature Belle fashions through the years, door prizes and fabulous food. Join us as we celebrate our Belle program and all of the wonderful young women that have served our city throughout the years. Tickets are $25 each and must be purchased in advance; no tickets will be available at the door. Deadline for ticket purchase is April 15th. To purchase tickets, please contact Gina Henley at ghenley401@charter.net or (205)910-4837. For additional information please visit our website at www.vestaviabeautiful.com, or our Facebook page Vestavia Beautification. Each year during the Christmas season, the Vestavia Hills Beautification Board participates in the Christmas yard judging. Yards are judged on their appearance during the day and evening. Judging will begin December 10th and go through December 17th. All meeting will be in the VH City Council Chambers at City Hall unless noted below.